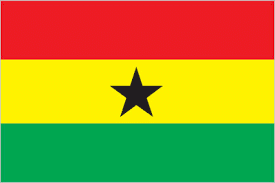 Ghana is a country located in West Africa. It has an estimated population of over 27 million (2014). Ghana’s economy is one of the strongest and most diversified in Africa. Speaking about telecommunications, there were 25.6 million mobile cellular lines by 2012, ranking 42nd in the world. Ghana was one of the fastest countries in Africa to enter into the world of the Internet. In 2009 the number of Internet users stood at 1.3 million, 93rd in the world. In 2012 the number of Internet users reached 4.2 million (69th in the world) or 17.1% of the population. Gambling and online gambling, both are legal and regulated in Ghana. There are land-based casinos operating throughout the country, while a large number of casinos are operated in the capital city of Accra. Lottery is the most popular form of gambling in the country. Ghana has a national lottery, National Lottery Authority (NLA) which was established in 1982 and offers a wide variety of games like Pick 3, Bingo, Lotto etc. The NLA enjoys a monopoly over lotteries and does not offer an online lottery. Since the NLA sold its first ticket in August 1987, players have so far won more than $33.5 million ($33,561,371) in prizes.